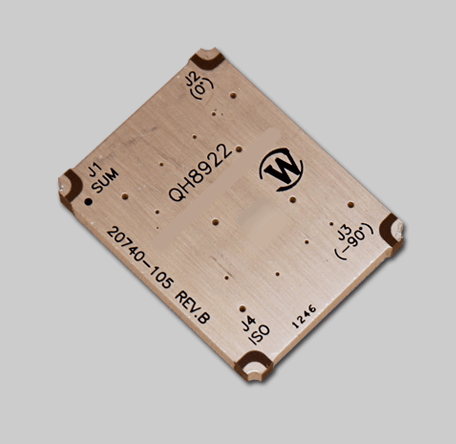 A surface mount Hybrid Coupler, Model QH8922 covers a full 150-2000 MHz band. Rated at 100 W CW, this bonded design, is utilized in applications requiring very small form factors and high repeatability. Measuring only 1.47 x 1.13 x 0.16 inches, this unit is specifically designed for military and commercial environments.